Scouting is no longer just about the outdoors - roughing it, blowing up a can of beef stew in a campfire or drinking kool-aid that tastes like chewable aspirin. 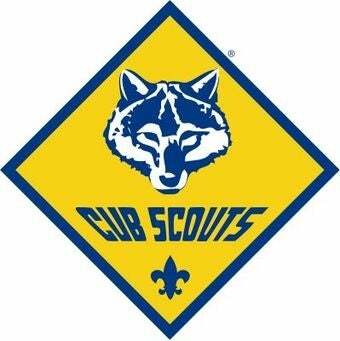 The Cub Scouts are now awarding pins for video games. Not for Gamerscore, trophies, or beating God of War III. The Cub Scouts have put together a plan that requires kids seeking either honor to understand ESRB ratings, teach others how to play an appropriate game, and create a time plan that incorporates gaming into a schedule with homework and chores. So here I'll drop the snark. I think it's a wonderful idea, one that acknowledges games' presence in kids' lives and seeks to make something constructive out of it. There's tons of jokes to be made, too, but I'll let you do that in the comments. The Boy Scouts of America should be commended for making this into a teachable moment with some very reasonable standards and expectations of both the scout and games. 1. Explain why it is important to have a rating system for video games. Check your video games to be sure they are right for your age. 2. With an adult, create a schedule for you to do things that includes your chores, homework, and video gaming. Do your best to follow this schedule. 3. Learn to play a new video game that is approved by your parent, guardian, or teacher. 1. With your parents, create a plan to buy a video game that is right for your age group. 2. Compare two game systems (for example, Microsoft Xbox, Sony PlayStation, Nintendo Wii, and so on). Explain some of the differences between the two. List good reasons to purchase or use a game system. 3. Play a video game with family members in a family tournament. 4. Teach an adult or a friend how to play a video game. 5. List at least five tips that would help someone who was learning how to play your favorite video game. 6. Play an appropriate video game with a friend for one hour. 7. Play a video game that will help you practice your math, spelling, or another skill that helps you in your schoolwork. 8. Choose a game you might like to purchase. Compare the price for this game at three different stores. Decide which store has the best deal. In your decision, be sure to consider things like the store return policy and manufacturer's warranty. 9. With an adult's supervision, install a gaming system. On the face of it, these standards foster pro-social behavior, proportionate use and good choice-making, and an understanding that a young gamer can select appropriate content for himself without leaving it up to parental ratification and disapproval. That's consistent with the Scouts' overall mission of character development, personal responsibility, and service. It wouldn't surprise me if this is one of the more popular pins Cub Scouts choose to pursue and if so, it's a win for both young gamers and the games they enjoy.